In collaboration with IFSTTAR (French Institute of Science and Technology for Transport, Development and Networks), Terrasol is piloting the setup of a National ARSCOP Project related to pressuremeter engineering led by IREX (Institute for Applied Research and Experimentation in Civil Engineering). This project brings together the entire geotechnical profession and has two main objectives: pursue the development of the pressuremeter and its use during soil investigations to improve the design of geotechnical structures, and to promote the pressuremeter and associated design methods internationally. The project is currently in the setup phase. The feasibility phase was validated by the Research Department of the MEDDE (French Ministry of Ecology, Sustainable Development and Energy, in July 2016. This project, approved by the Advancity Competitiveness Pole in 2009, starts in 2010, with the participation of Alain Guilloux and F. Cuira of Terrasol, together with various companies, universities and project owners (Solétanche, SNCF, LCPC, INSA-Lyon, CERMES). It covers the reuse of existing foundations of buildings, engineering structures or rail platforms, in the rehabilitation of infrastructures, using the Sol Mixing process. It proposes to develop research, both technological on tools and compositions of binders used, and more theoretical on the behaviour of such structures, where the existing foundation continues working in association with the reinforcement implemented. This 4-year project (2008–2012) is headed by IREX (Institut pour la Recherche EXpérimentale en Génie Civil) and funded by RGCU. It aims at understanding phenomena governing the response of piles subject to vertical or horizontal cyclic solicitations, and quantifying the effect of cyclic loads on the response and capacity of the piles. Based on a methodology studying the behaviour of piles subject to cyclic loads, it offers to develop engineering methods with a complexity of use which must remain compatible with the nature of the structures and severity of the cyclic effects. Therefore, this is pre-normative work before the introduction of the methodology proposed and the associated calculation methods in national regulations. TERRASOL participates in this project through Bruno Simon. The aim of this project was to improve knowledge on the mechanisms of soil reinforcement by rigid inclusions. This project was initiated in 2005, for a period of 5 years, and Bruno Simon, Terrasol’s Scientific Manager, was the Director of the project’s Scientific and Technical Committee. The project brought together over forty partners from the fields of industry or university, and was the basis of 9 PhDs. The analysis of the data issued from studying experimental projects, real projects and physical models in chamber and centrifuge, with respect to the results of calculations made according to various numerical approaches, enabled to draw conclusions on the behaviour of these structures, and to refine numerical models. This work led to the publication of Recommendations on the use and design of fills and slabs laying on soils reinforced by rigid inclusions. This project, headed by FSTT and IREX, and in which Alain Guilloux was the Technical Manager, lasted from 1993 to 2002. Its objective was to develop, in the field of trenchless works, microtunneling and directed drilling. It was a plurisdisciplinary research project to provide better knowledge of these techniques, and adapt them to the specifics of the French context. It covered bosic fundamental aspects (measurements on site, modelling, laboratory studies), and technological considerations (materials used, monitoring of drilling parameters, etc). The socio-economic part was also approached, by proposing an evaluation of social costs. This project brought together project managers, engineering offices, contractors and suppliers. The research conclusions led to the publication of 2 volumes of recommendations in 2002. This project, to which François Schlosser of TERRASOL contributed broadly, lasted from 1993 to 2001. It covered reinforcement of soils by micropiles, with both the basic behaviour of a single micropile, and the behaviour of groups or networks of micropiles. It included, in addition to producing an inventory of the knowledge and a technico-economic survey, laboratory tests (in calibration chamber and centrifuge), tests on site, theoretical modelling, and the development of calculation methods. 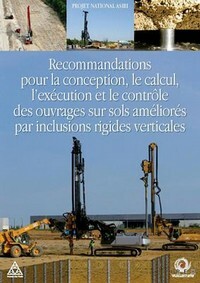 This project led to the publication of recommendations in 2004. The research activities were led from 1986 to 1990, upon the joint initiative of the Ministry of Equipment and the National Federation of Public Works and IREX. François Schlosser, founder of Terrasol, chaired this research project, in which Alain Guilloux and Bruno Simon also participated. This led to the publication of the Clouterre 1991 recommendations, covering all aspects of soil nailing applications to retaining structures. 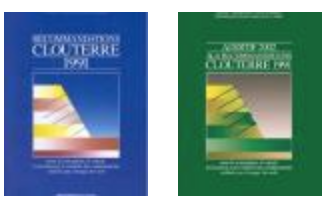 This project was followed by a second step in the late 90s, with the objective of applying the recommendations of CLOUTERRE 1991 and complete them thanks to better knowledge on the behaviour of structures, resulting in the publication of the Additif 2002 recommendations.